The state of Iowa is requesting it’s own mental evaluation of the Parkersburg man accused of killing Aplington-Parkersburg football coach Ed Thomas. A spokesman for Iowa’s Attorney General said Tuesday he expected the state to request a second review of the mental status of Mark Becker after Becker’s attorney filed paperwork saying a doctor hired by the defense has found Becker not competent to stand trial. His attorney said in the court documents that Becker suffers from schizophrenia and bipolar disorder and is unable to understand the charge against him or help prepare his own defense.The state now has formally asked the judge to approve the second mental evaluation, and say they have lined up a doctor to do so on August 28th if approved by the judge. Court papers say prosecutors have no objection to delaying the proceedings until the second evaluation is completed. The state has also asked that once the second evaluation is completed that the judge hold a competency hearing on September 8th or 9th. Becker was charged with first-degree murder in the June 24th shooting death of Thomas. 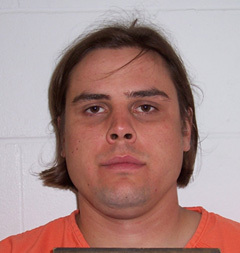 Becker is being held in the Cerro Gordo County Jail and his trial is scheduled for September 15.